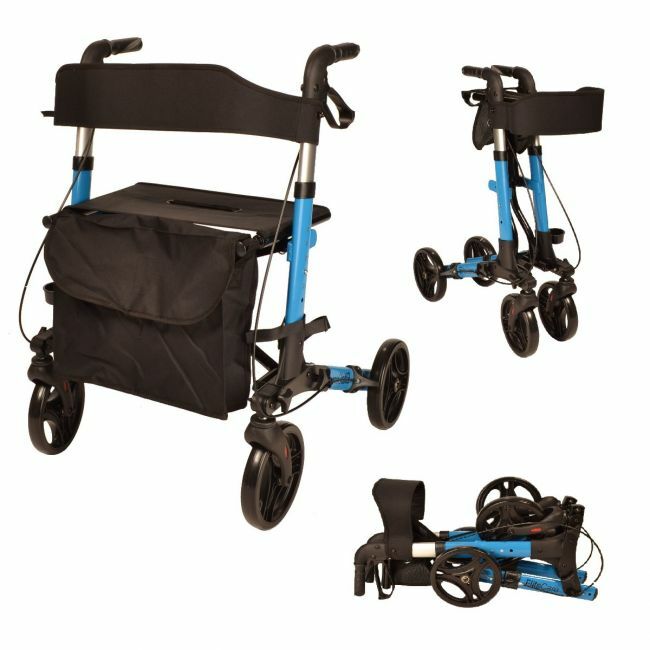 Explore in confidence with a lightweight walking frame suitable for air travel. The X Cruise folding lightweight rollator folds side to side in seconds by simply pulling upwards on the strap which runs across the seat. It can then be folded fully compact by undoing 4 hand tighteners, no tools required. There is a generous storage bag on the front, and a supportive seat with backrest when the user decides to stop and take in the view.